The content of this web site has been written by the Law Firm of Gary A. Kollmeier (the firm) for informational and instructive purposes only. It is not intended to be and should not be considered to be legal advice, nor should contact with or communications with personnel of the firm be considered a commitment to representation by the firm. Legal advice should be sought from licensed legal counsel. The information on this site is for informational review only; it is necessary to consult with an attorney directly to ascertain the nature of legal issues, and the options for legal resolution. 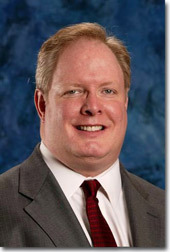 The principal office of the Law Firm of Gary A. Kollmeier is located at 501 S. Carroll Blvd., Ste. B, Denton, Texas 76201. The firm’s mailing address is P.O. Box 1465, Denton, Texas 76202-1465. The primary phone number of the firm is 940.387.8181. No communication between you and a firm representative via this web site should be interpreted or considered as establishing an attorney/client relationship. Do not use any contact or applied e-mail interface from this site or any web based site to send privileged or confidential information. Messages or information such as documents, photos and other types of email can be intercepted. There is no attorney/client confidentiality of information if such is received outside of a formal attorney/client relationship. The Law Firm of Gary A. Kollmeier observes formalities of contract and/or letters of representation prior to agreeing to represent any individual or entity in a particular matter. A consultation with a lawyer or communication with a staff member of the firm does not establish an attorney/client relationship. Prior to agreeing to conduct a consultation, the firm will ask questions to enable us to ascertain if a potential conflict of interest exists with former or existing clients of the firm or other obligations to third parties. Until the lawyer or staff of the firm has determined if an actual or potential conflict exists, you should not consider any communication with the firm by voice contact, e-mail, fax, text-messaging, letters via U.S. Mail, or otherwise as confidential or privileged. Links to other web sites or information materials are for your convenience only and should not be considered advice or information given to a client or potential client by the firm. The firm does not specifically or indirectly recommend, approve or support information from sites linked to from the firm’s site. These links are provided to you as a reference tool only. Be cautious about relying on information from internet sources, as it may be outdated, incorrect, or misleading.